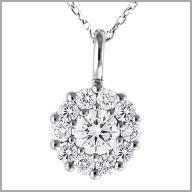 14K White Gold Diamond Pendant with 5/8cts of diamonds. GIA Certificate included for Center Stone. 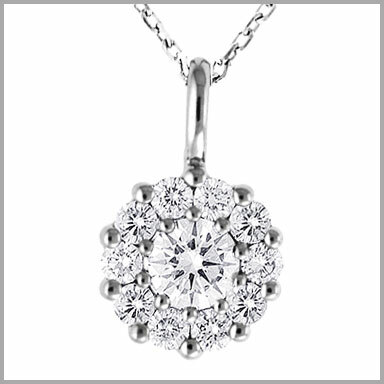 You will be the talk of the town with this beautiful Diamond Pendant! It is created in 14K White Gold and features 11 round cut diamonds prong set in a flower design. The total diamond weight is approximately 5/8cts. 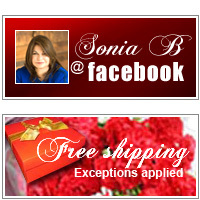 It features one center stone, color: F, clarity: VS2 includes GIA Certificate and has 10 side stones, color: G, clarity: VS. This pendant measures 5/16" all around and comes with an 18 inch chain.